Little mortar......some bondo. Good as new. cus_deluxe, RI Chevy, huskihl and 3 others like this. Meh, it's only steam...what could go wrong? Maybe a little more. Zip ties and duct tape should work though. PA Dan, RI Chevy, Wolverine and 1 other person like this. Can't leave out the JB Weld! ChipsFlyin, huskyboy, PA Dan and 1 other person like this. Love me some Gorilla glue and epoxy...that will fix it. Sorry Randy no relation! Duane(Pa), ChipsFlyin and RI Chevy like this. Who is this mark guy you speak of? Duane(Pa), ChipsFlyin, PA Dan and 1 other person like this. IMO, PL Premium replaces both of them. And now + then, JB Weld! ChipsFlyin, Duane(Pa) and RI Chevy like this. 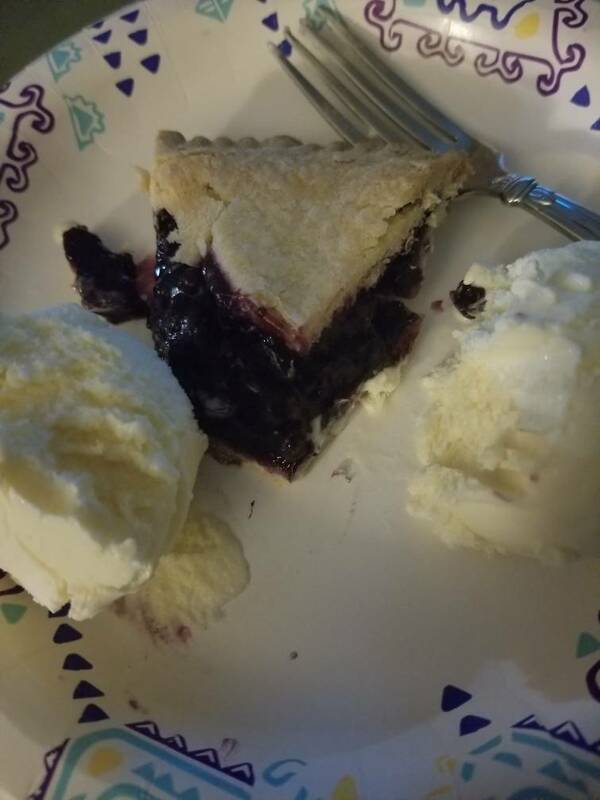 Has pie been mentioned in this thread yet? Time's Standing Stihl, cus_deluxe, MustangMike and 7 others like this. czar800, PA Dan, Duane(Pa) and 2 others like this. PA Dan, RI Chevy and Duane(Pa) like this. Hey Mark. How have you and the little lady been? PA Dan, ChipsFlyin, RI Chevy and 1 other person like this. Doing great! I lost your# pm me I'll call you this evening. PA Dan and RI Chevy like this. PA Dan, Time's Standing Stihl, ChipsFlyin and 3 others like this. Blueberry is a favorite! When I went to Boy Scout Camp every summer ( Camp Reed in the Adirondacks), we celebrated my Birthday up there. One of the cooks also had his Birthday on my Birthday. We (the scouts) would hike up Mt Stevens and pick Blueberries, and he would make pies for our birthday's. It was great. Had to pick a lot of those small, wild Blueberries for a pie! PA Dan, huskyboy, ChipsFlyin and 3 others like this. "Blueberry, peach, pecan, or lemon sponge?" My Pap..."I'll have a slice of each" I was brung up write! PA Dan, Deets066, MustangMike and 3 others like this. Dan's fibbing . We only had cookies! PA Dan, MustangMike, Duane(Pa) and 1 other person like this. smokey7, ChipsFlyin, PA Dan and 2 others like this. Reilly chain is hard to compete against. Tell me more about the Reilly Chain...where can I read up on it or buy it? ChipsFlyin, PA Dan, RI Chevy and 1 other person like this. ChipsFlyin, PA Dan, CrystalRiver1 and 3 others like this.